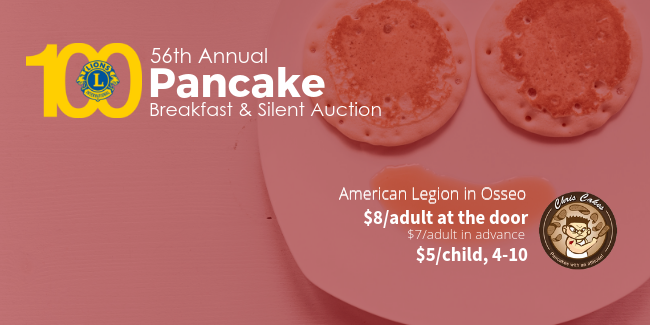 Advanced-purchase tickets will be available at Dean's Supermarket on Central Ave, downtown Osseo mid-March, or you can reach out to any of your local Osseo Lions Club Members. Mark your calendars and come out to our annual Palm Sunday Pancake Breakfast April 14th! Silent Auction taking place during this time as well!